Home » World News » The Half Blood Prince is no more. Alan Rickman, we'll miss you. Now, always. The Half Blood Prince is no more. 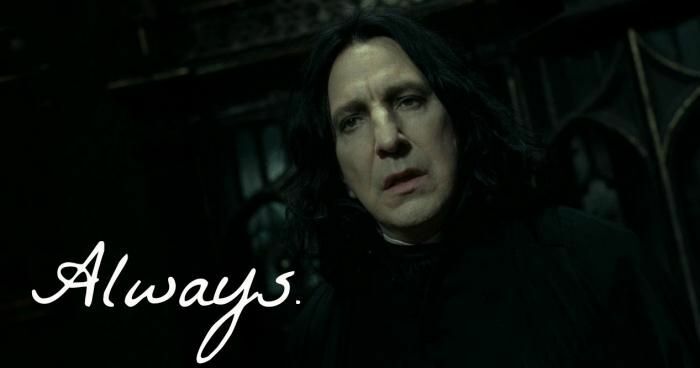 Alan Rickman, we'll miss you. Now, always. Theatre actor, filmstar, director, Alan Rickman - a man whose slow drawl was as distinct as his body of work - is no more. The 69-year old lost the battle to cancer on 14 January. Snape to millions, Hans Gruber to the Die Hard fandom, Colonel Christopher Brandon to those obsessed with Jane Austen, Alan had an enviable knack of making all his characters seem like an effortless extension of himself. The politically-active actor was a well-known donor to several charities - working towards the betterment of struggling and impoverished actors. A member of the Royal Shakeseare Company, Rickman has won over 30 awards in a career that spanned 38 years. The Golden Globe, Emmy, and BAFTA award winner found an "honourable mention" in The Guardian's list of the best actors never to have received an Academy Award nomination. "Actors are agents of change... A film, a piece of theatre, a piece of music, or a book can make a difference. It can change the world." With an Alan Rickman-sized hole in our hearts, with his voice in our conscience, his thoughts in our prayers, we bid the man farewell. Bigg Boss 9: Why is Mandana Karimi taunting Prince Narula by bringing up Kishwar and Nora? READ NEXT >> Bigg Boss 9: Why is Mandana Karimi taunting Prince Narula by bringing up Kishwar and Nora?